A preview of this weekend's show with Eldon Johnson. Gavin: Hey Eldon, first thing, tell us a little bit about yourself. 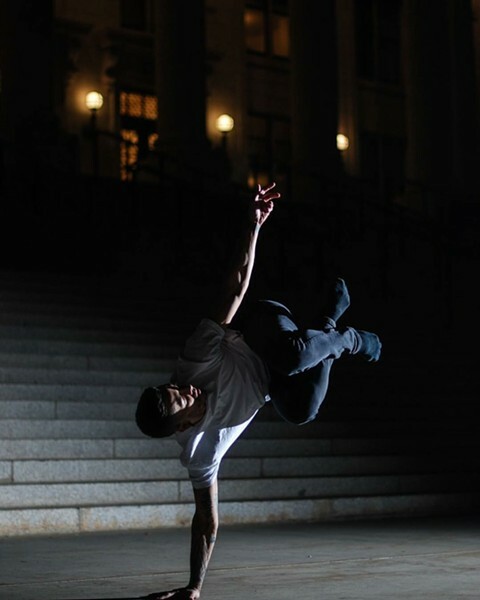 Eldon: Growing up in Salt Lake City, I never intended to become a dancer or a choreographer. My parents separated when I was pretty young, and with my mother being a single parent of six boys, we ended up having to move quite a bit. It wasn't until I was 16 that my dad offered to pay for an after-school activity to help keep me out of trouble—not that I needed it, as I was a total introvert. Gavin: What first got you interested in dance early on and what were your major influences? Eldon: I chose dance with the full intention of one day getting to be a backup dancer for Janet Jackson. 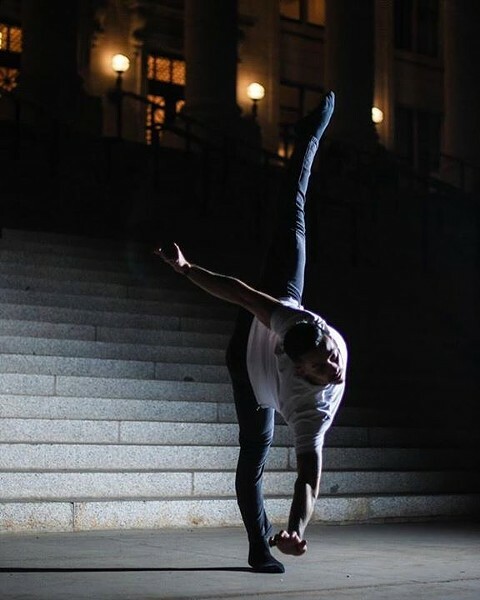 After two years of formal dance training, in jazz, ballet, tap, and hip-hop, I was offered a company position with Utah Contemporary Dance Theater, which later became known as Odyssey Dance Theatre, when director Derryl Yeager saw me at a dance convention. Gavin: Unlike a lot of people who become professional dancers, you started in your mid-teens as opposed to late childhood. What advantages do you believe that gave you? 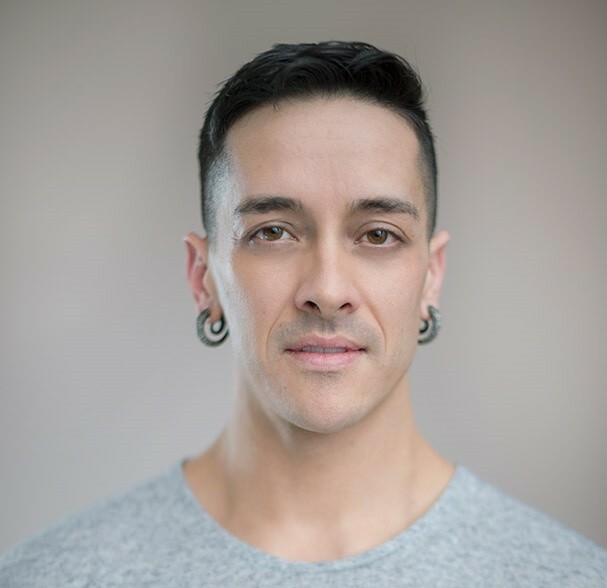 Eldon: Having starting at such a late age, my technical abilities were sub-par, and that was a problem, but being older when I started, I think I could intellectualize what needed to happen physically and get results faster than some younger dancers. My focus became my career as a dancer during my first year on ODT. I knew I didn't want to do anything else. After my first season with the company, I got a summer gig at Disney World, dancing as a Kid Of the Kingdom. Once that gig was over in August, I came back to do my second season with ODT. From there I did 16 more seasons with the company while doing as many gigs in our off time as I could. In the early years, we had more time off than on. That was hard, and so many times my parents advised me to get a real job. Dance was my passion, so I continued to make it work. 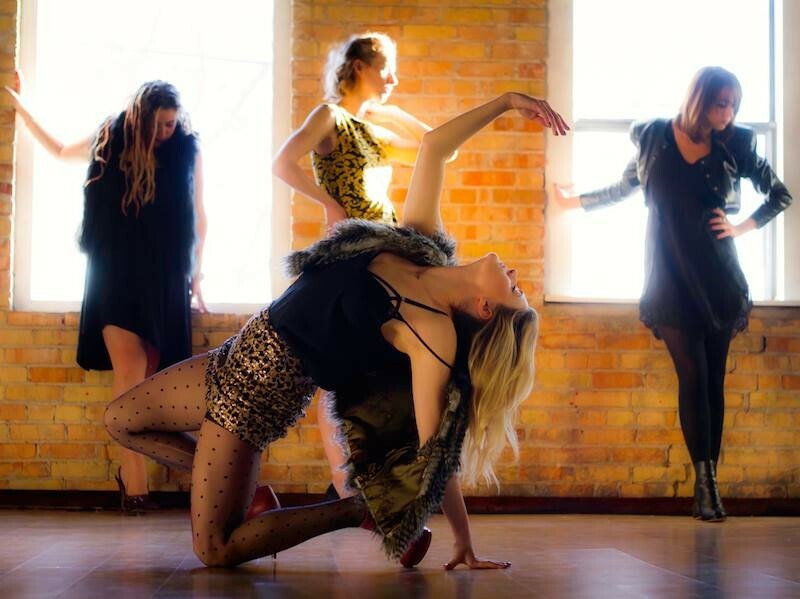 Gavin: How did the Odyssey Dance Theater opportunity come about? Eldon: This company is where I was really able to focus on, and improve my dance training and technique. Being a competition kid, with no previous exposure or interest in formal dance, most of my early influences in dance were other competition kids and dance teachers, and commercial choreographers in the competitive circuit. Derryl Yeager and Bonnie Story really helped me see the strength and importance of acting through dance and taught me the value of being honest in a performance. It was Mia Michaels who completely changed my actual dancing. Working with her was emotionally and mentally exhausting and depleting, but she pulled out of me a physical dancer that I didn't know I had inside of me. Gavin: What was it like for you during the first few years being a part of the troupe and performing throughout the year? Eldon: Over the years I was fortunate to have the opportunities to work with Mia Michaels and her company RAW, at a Jacobs Pillow performance in Massachusetts, Jason Parsons company in Korea, Justin Giles, SoulEscape in Dallas, several film and television gigs, industrials, the MTV VMA's in 2010 with Travis Wall and Florence + The Machine, MC Hammer, Glenn Beck and the Blaze network, and in 2010 I was also voted Best Individual Dancer at the Best of State awards here in Utah. Gavin: How did you eventually end up becoming the Associate Artistic Director, and how has it been for you running the company as well as being a principal performer? Eldon: While with Odyssey, I found that enjoyed helping create and develop new works with the director and choreographers that came in. That is what eventually lead me to become the Associate Director of the company. I enjoyed the position as well as dancing. I like finding the nuances that make each new work different from the next. I love developing story and movement qualities. I love helping artists find new facets within themselves, to further developed their own artistry and career. That was my role as the Associate Director, as well as polishing pieces for performances. Gavin: Getting to this showcase, how did you get involved with the Creators Grid performance? Eldon: Dance has allowed me to meet so many great new people and make great new friends, which is how I met Temria [Airmet]. She asked me if I would like to create something for Creators Grid, and I was so happy to be invited. Having devoted so much time to other people's projects, it was exciting to be able to develop something for myself. I wish I would have had more time, but that's always an issue with art. Gavin: Tell us about the piece you are bringing to perform. Eldon: The piece I am creating for The Grid is just like my mind: Random. I have a hard time sticking to one thought, and my piece will reflect that. Imagery plays a large role in my inspiration for work, as well as being trained in many styles of dance. Darkness and science fiction has always sparked my imagination, as well femininity mixed with power. Raw beauty and technique can live in the same moment. Dancers make movement look effortless and sometimes dancers become creatures capable of moving more non-human-like than human. Logan McGill, one of the soloists in my pieces is one such dancer. Real life experiences always play a role in my creative process, and falling out of love happens even with the best of intentions. (I am happily in love at this time!) These are elements that I have incorporated into my piece. It is not one story but three ideas that interrupt each other, like the thoughts in my mind. Random, spontaneous, and just moments neither finished or connected. 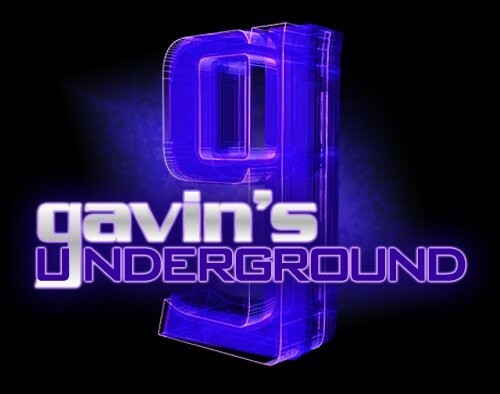 Gavin: What are your final thoughts going into the show, and what do you hope the audience will take from it? 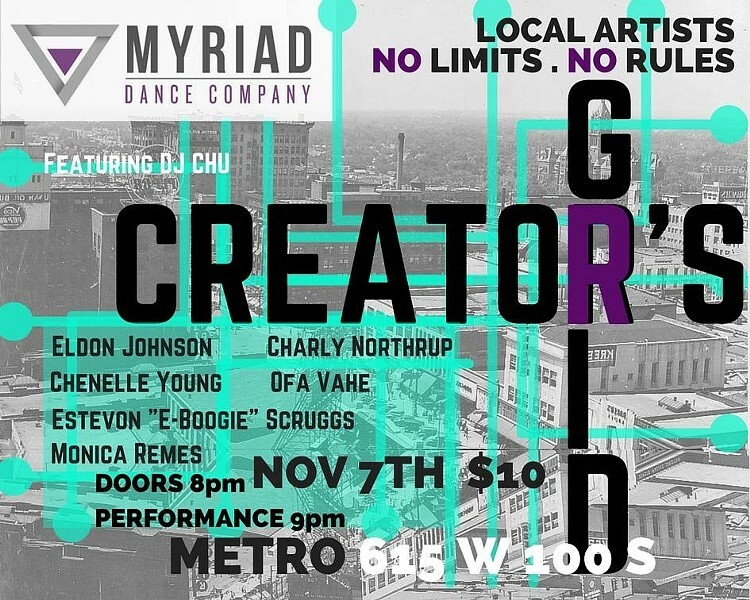 Eldon: I am so excited to see all the works being presented, and I am so grateful for Myriad allowing me to be a part of this month's show! I hope the audience just enjoys the beauty of each piece and appreciates the randomness of my chaotic mind. I am not trying to make a large statement, just my own opinion of what movement can be. Gavin: What can we expect from you going into 2016? Eldon: In 2016 I will continue dancing with SALT Contemporary Dance, as I have been for the past two months. I am excited to explore more of my creative process, which is still evolving, in a new work I will be setting on the extremely talented dancers we have on the company. I also hope to get involved with some more commercial opportunities before the end of the year.